Mohammed Al-Munaikh and Bader Al-Tahous first met during The Protégés, a program encouraging the youth to ask themselves: “If money isn’t an issue, what would you pursue in your life?” This mindset – and the mentorship that came with The Protégés – has had a lasting impact on the two cofounders of Ghinwa, an app looking to offer a platform for users to be recognized for their singing talents. In April 2015, while waiting for a table at Slider Station, Bader shared his idea for a karaoke-style app featuring Arabic songs with Mohammed. Similar apps exist for Western songs, but the Arab world seems to have been overlooked. Mohammed loved the idea, especially since he struggled to find great talents on SoundCloud, an app for finding the music you love. Mohammed was passionate about music, and wanted to work in that space. “If you’re willing to quit your day job for something else, then you’re not connected to your work on a higher level,” Mohammed told me. The conversation he had with Bader was the spark that triggered his startup journey. He decided to quit his job at the National Fund for SMEs to focus on Ghinwa full-time. Mohammed didn’t simply quit his day job to pursue a dream. Coming from a personal investment background, he knew the importance of taking calculated risks. While he had passion for music, his startup had to have a strong business case to be a success. “In a population of 350 million, there are many talents waiting to be unleashed.” Mohammed was confident they were tapping into a huge market with great demand for the service they were offering. The Ghinwa cofounders managed to secure angel investing and were accepted into In5 accelerator in Dubai, which made them more confident that their startup deserved their commitment to become a business success. Mohammed and Bader did not have the necessary technical skills to actually build Ghinwa, and so they searched LinkedIn for a candidate to become their technical cofounder. After being ignored by some and rejected by many, they were fortunate to have Alfonso Fernandez join their startup. Alfonso shared Mohammed and Bader’s passion for music. He plays the guitar and longed to join a band in his teenage years. Ghinwa reignited his dreams, and he left a promising career at Rocket Internet to join the budding startup. “We were very lucky to have such a high-caliber talent like Alfonso join our team,” Mohammed said. Ghinwa recruited two more team members: Jose Louis, developer; and Dana Alfaraj, project manager (and The Protégés alumni). 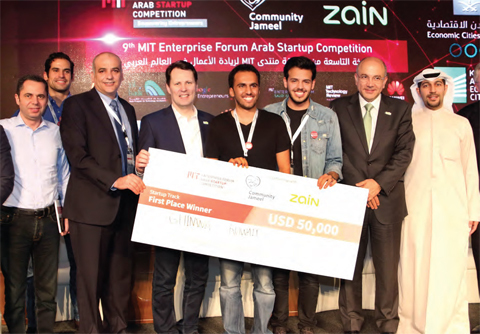 A year after their first conversation (almost to the day), Ghinwa became the first Kuwaiti startup to win the prestigious MIT Enterprise Forum (MITEF) Pan Arab Competition. The cash prize of $50,000 is enormously helpful for any startup. But more important than that, the competition helped the Ghinwa cofounders master the art of pitching, and distilling the essence of their business idea into a condensed message. This is essential for internal clarity as well as external communication. The Ghinwa cofounders decided to spend some of their prize money to sponsor two musical events during Eid, featuring musical giants: Rashed Al-Majed and Nawal. Mohammed believes it’s essential for startup founders to have the right mindset, find great mentors, and keep a steady momentum in the startup. Accepting failures is crucial, since startups often operate with extreme uncertainty and need to experiment with multiple strategies. 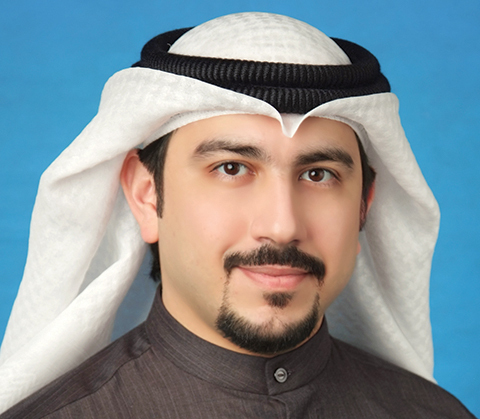 “I can’t emphasize how important it is to have mentors for a startup, so you don’t have to reinvent the wheel,” said Mohammed Almunaikh. Abdulaziz Al-Loughani shared a tip with Mohammed that left a strong impression on him: “It’s OK to fail for the right reasons.” Shamlan Al-Bahar, the founder of The Protégés, helped set up and design Ghinwa’s landing page. “Shamlan reviewed our first landing page and pointed out all the mistakes we made. He only kept the logo untouched,” Mohammed said. Yaroub Burhama, cofounder of Lightbug Media and The Protégés mentor, helped the Ghinwa cofounders understand music copyrights and connected them with some of the big names in the music industry. Kuwait’s Ghinwa with Zain Group CEO and Zain KSA CEO and Huawei Omar. This is only the start of Ghinwa’s journey, and the future looks very promising. The app is scheduled to launch shortly after Eid-ul-Fitr, and the startup is looking to close their second round of funding very soon. You can receive updates about Ghinwa by subscribing to their newsletter at ghinwa.com.